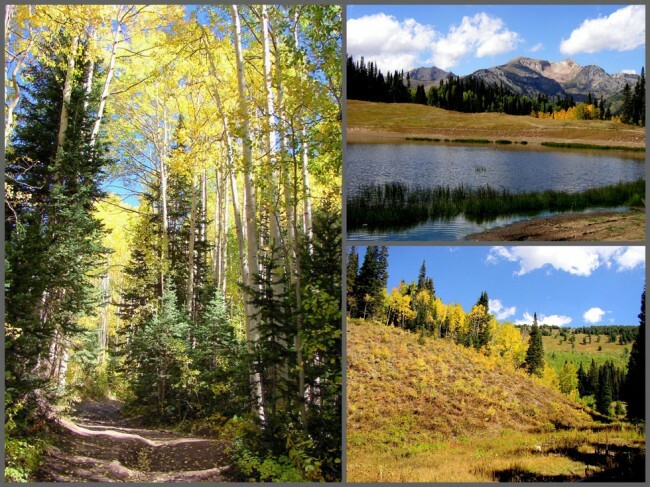 Imagine if you will, a perfect autumn day in the high country of the Wasatch Mountains outside Salt Lake City, Utah. The aspens are a brilliant yellow, the cottonwoods shade you in a soft green light and the spruce & pines paint a dark and elegant background. The warm breeze and fragrance of the evergreens are more than a little potent. Our hike begins with a stream crossing as we head into the high country. 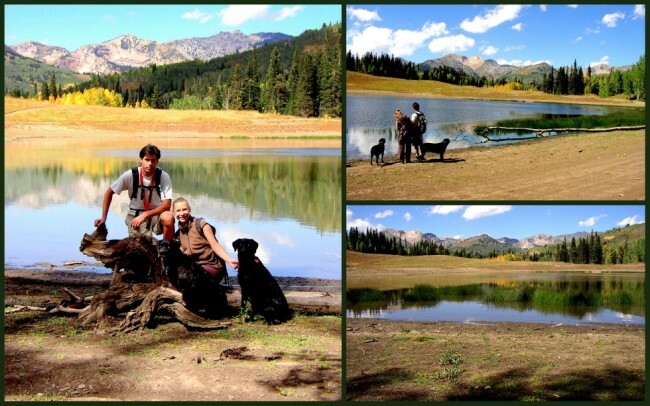 Today’s trip is with Jeff & Rachelle Campbell and their two black Labs, Jessie & Jackson. 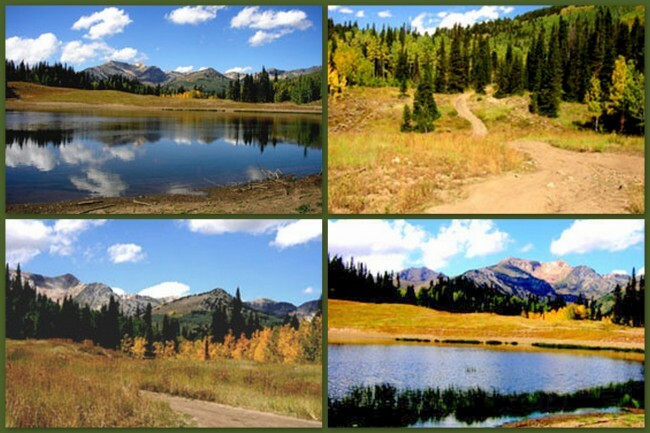 Our hike takes us to an alpine lake in the middle of a mountain meadow. If anywhere in the Wasatch is made for photography, Forest Lake qualifies easily. We hike up a modest grade for a couple of hours and suddenly break into the clearing. At the bottom is an emerald green lake with the forest and mountains reflecting in the water. We spend the next hour or so basking in the warmth of the sun, take time out for a snack, shoot several photos and take in the scenery. We notice that cumulus clouds are starting to build so we head down to prevent being caught in a possible thunderstorm. 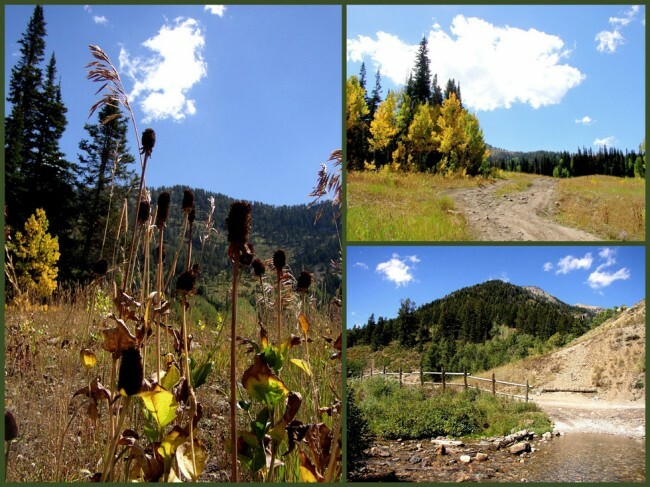 If you get a chance to visit Forest Lake, you’ll need to find your way into American Fork Canyon, which by the way is a Recreation Fee Area operated by the USDA Forest Service. 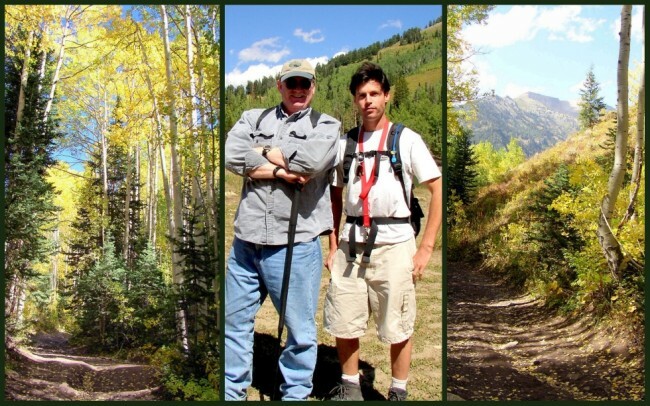 This hike can be found in the Uinta-Wasatch-Cache National Forest. 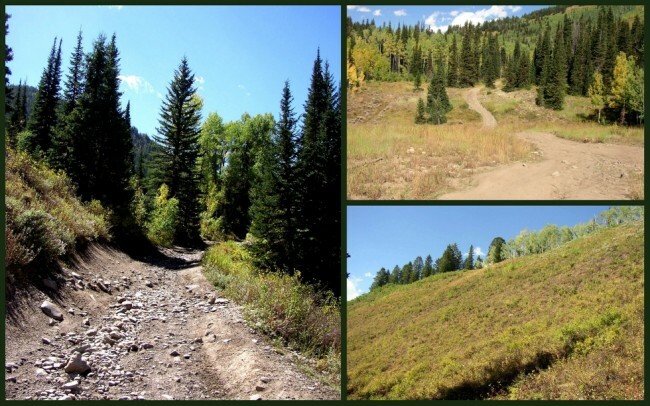 The trail is open to: horse, hikers, mountain bikers and motorcycles. The grade of the trail ranges between 20 and 25 percent, so it’s a good hike for almost anyone For specific up-to-date information you can check out this website. Last modified on: January 22nd 2014.